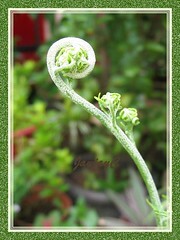 One of the pleasures of gardening is to know the names of our garden plants! Like babies entrusted into our care, it is lovely to be able to call them by name and to know their likes and dislikes! Hence, recently when researching online for our previous article on Calathe roseo picta, I was absolutely thrilled to have finally come across the identity of this magnificent tropical fern, a long-time resident in our garden. How wonderful! 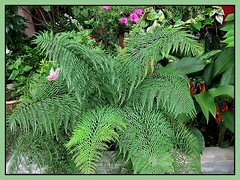 Plant type: Terrestrial fern, native to tropical Central and South America, but has become widely naturalized in many parts of the Old World Tropics (Africa, India, South-east Asia). 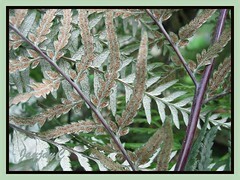 Features: P. calomelanos is a fast-growing, medium-sized perennial fern of the genus, Pityrogramma that are noted for their powdery white or yellow lower blade surfaces. 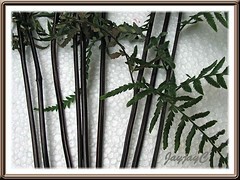 It has a short-creeping to suberect rhizome that is covered with brown scales, and bears large tufted fronds that are erect to arching, presenting a lovely cascading water-fountain appearance. The somewhat stiff stipe becomes glossy as it ages and gradually ‘shakes off’ the farina that covers it. 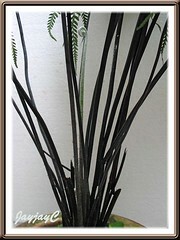 Colored black or purplish-black and longitudinally ridged on the upper surface, the stipe is often as long as the leaf blade, with the whole frond reaching up to 90-120 cm long. Blade is elongate-triangular to ovate-lanceolate in outline, 2-pinnate-pinnatifid, sometimes 3-pinnate proximally, has ascending distal pinnae and segments, and colored medium to dark green on the upper surfaces. 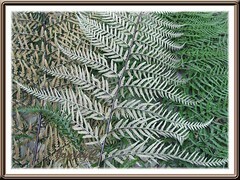 Its lower surfaces though, are heavily coated with a white or silvery powder called farina, hence the common name Silverback Fern, as opposed to a related species, Pityrogramma chrysophylla (Goldback Fern) having fronds with bright golden-yellow undersides. The pinnae are narrowly triangular, tapering towards the apex (longest 15-22cm x broadest 5-12cm), and pinnately lobed or divided. The pinnules are short-stalked or sessile, lanceolate-shaped and broadest at the base, with serrated margins near base. Sporangia, brown in color, are borne on the underside of leaf surfaces and set in continuous submarginal lines along the veins. 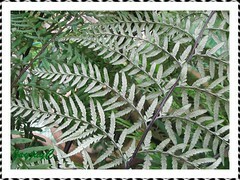 Culture (Care): An easy-to-grow fern that needs minimal attention, preferring the warm, humid and wet tropical conditions. Light: Bright light or full to filtered sunlight for best growth. Moisture: Medium water requirement. Avoid overwatering and allow to dry slightly between watering. 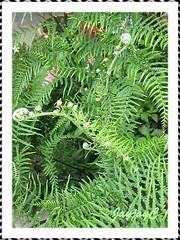 Loves a humid environment, so mist foliage frequently if weather is hot and dry. Soil: Any moist garden soil or potting mix that is free draining and moderately aerated. 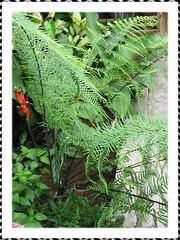 Others: Remove older fronds to maintain tidyness and encourage new growth. Sometimes in older plants, the roots often fail to support the ascending rhizome and fronds, so removing some of the older fronds or adding mulch, pebbles or rocks around its crown can assist its longevity. 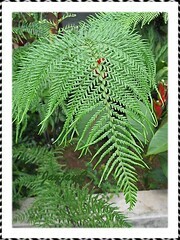 Repotting or transplanting of this fern should be done careully as its roots are sensitive to disturbance. Feed sparingly with a general liquid foliage plant fertilizer at reduced strength. No known garden pests or diseases. For subtropical regions: Check at Gardening.eu for more information. Propagation: Easily propagated by germination of spores. Learn how-to here. 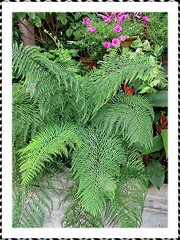 Usage: A very beautiful and dynamic fern that makes excellent container plant for porches, decks, patios or greenhouses. Ideal too for group or mix plantings in garden borders/beds or beneath tall trees. 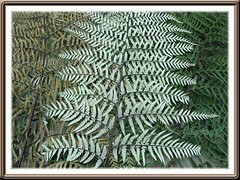 I am looking to purchase Dixie Silverback Ferns. Can you recommend somewhere I could order them? You’re most welcome, Brenda! Great that you’ve nailed your plant’s ID.